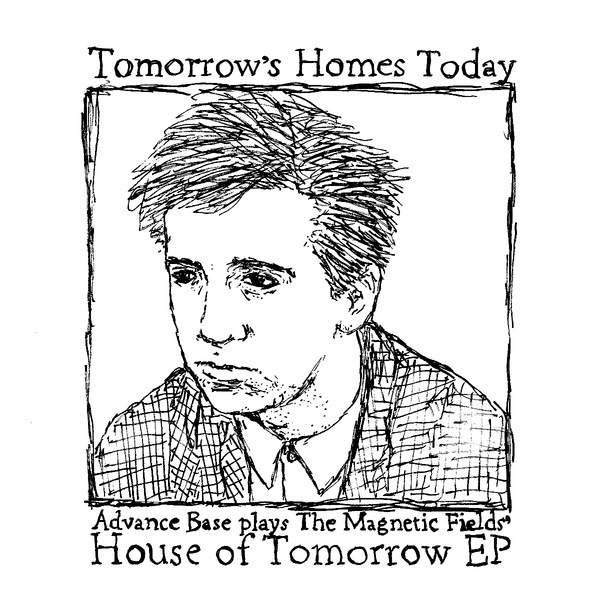 Released as a companion piece to Advance Base's Washington Phillips tribute EP, The World Is In A Bad Fix Everywhere (released earlier this year on Orindal/Caldo Verde), Advance Base's Owen Ashworth has re-imagined Stephin Merritt's classic 1992 indie pop EP, The House of Tomorrow, as Tomorrow's Homes Today. Whereas each song on the Magnetic Fields' The House of Tomorrow EP was digitally constructed from a single, repeating musical phrase, Ashworth has built his cover versions from loose, ragged, live performances of autoharp, electric piano, Omnichord, Mellotron, & kitchen-sink percussion, recorded entirely on 4-track cassette & accompanied by Ashworth's own warm baritone. If you have already purchased a digital download of Tomorrow's Homes Today, you are entitled to a $4 refund on the purchase of a tape. 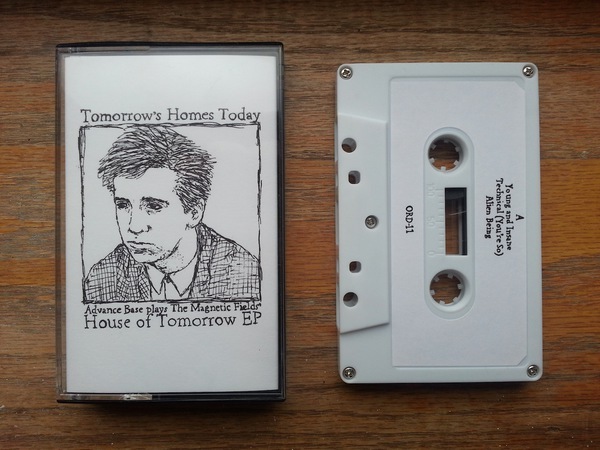 After you've placed your tape order, send an email with the subject line Tomorrow's Homes Today Refund to orindalrecords@gmail.com & a $4 refund will be sent to your credit card or PayPal account. Just be sure to use the same email address that you used when placing your download order.